The renewed focus on a cross-country autonomous trip comes as a weird time for Tesla, after a Model S driver this month crashed into the back of a firetruck parked on a California freeway. The driver said the car’s Autopilot suite, which allows for automated driving on freeways, was engaged at the time of the crash, sparking new investigations by the National Highway Traffic Safety Administration and the National Transportation Safety Board. And after missing a Dec. 31 deadline to conduct a coast-to-coast fully-autonomous drive, the company has taken heat about its ability to catch up to other competitors like Google’s self-driving car unit Waymo. But in a letter issued Wednesday to shareholders, Tesla reiterated that it plans to conduct a coast-to-coast autonomous drive from Los Angeles to New York City. 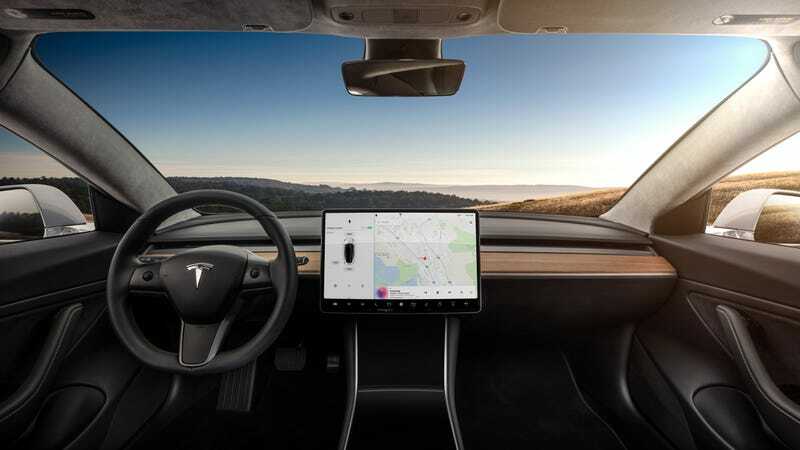 “The upcoming autonomous coast-to-coast drive will showcase a major leap forward for our self-driving technology,” Tesla said. The biggest question surrounding Tesla continues to be how it plans to ramp up production of the all-electric Model 3 sedan, following a sluggish start last summer. The automaker has already pushed back the production schedule twice, despite previously suggesting it’ll crank out as many as 500,000 vehicles in 2018. That figure seems virtually impossible at this point, but Tesla said it’s automaker’s still on track to meed production targets this year for the Model 3, with a goal of 2,500 Model 3s per week by the end of March, before increasing that total to 5,000 per week by the end of Q2. At that point, the company said, it’ll begin installing a capacity add-on to increase production to 10,000 Model 3s per week. The automaker said last month that it made “major progress” addressing bottlenecks in the sedan’s production line, and it reported delivering 1,542 Model 3s last quarter. There’s a lot on Tesla’s plate for 2018, however: beyond ironing out the kinks with the Model 3 line, Tesla has to prep for launch of a new Roadster and an all-electric semi. Large corporations have put down deposits for the semi, but Tesla has yet to clarify where it plans to build the vehicles. It did provide insight into who’ll get the first semi that rolls off the line. Tesla reported having $3.4 billion cash on hand, and posted a lost of $675 million for the quarter. An earnings call with CEO Musk is expected shortly. We’ll update this post if there’s anything to add from the call.